In November 2006, Amelia Earhart Society member David Bowman told the online Yahoo! Earhart Group about a story he wrote for the Walpole, New Hampshire-based Mysteries Magazine, “The Psychic World of Amelia Earhart.” In 2005, Bowman self-published Legerdemain: Deceit, Misdirection and Political Sleight of Hand in the Disappearance of Amelia Earhart, which would be published by Saga Books of Canada in 2007. Informative and entertaining, Legerdemain includes several strange and obscure Earhart tales, demonstrating the extent to which the Earhart disappearance has been stigmatized by fantasists since its earliest days. In researching “The Psychic World of Amelia Earhart,” Bowman made a fascinating discovery. The Jan. 7, 2003 edition of The Kwajalein Hourglass, the weekly newsletter at the U.S. Army Garrison Kwajalein Atoll, ran an article titled, “Did Amelia Earhart land on Kwajalein Atoll?” by Eugene “Gene” C. Sims, who was stationed there as a GI in 1945 and returned to work as a civilian from 1964 to ’71, and from 1983 to ’86. Eugene “Gene” C. Sims, of Coos Bay, Ore., a veteran of three tours at the U.S. Army Garrison Kwajalein, Marshall Islands. 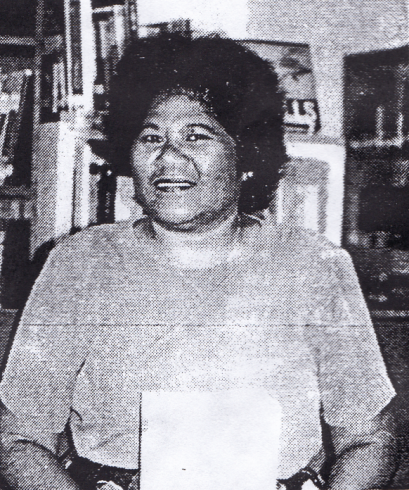 Sims wrote a story for the Kwajalein Hourglass in January 2003 that updated Jane Toma’s remarkable 1993 article about previously unknown Marshallese eyewitnesses to the presence of Amelia Earhart on Kwajalein shortly after her disappearance on July 2, 1937. Much of this proof was based on the testimony of a Jaluit woman named Mera Phillip. She had been the cook and interpreter for an American lady captured by the Japanese and held prisoner on Roi in 1937. 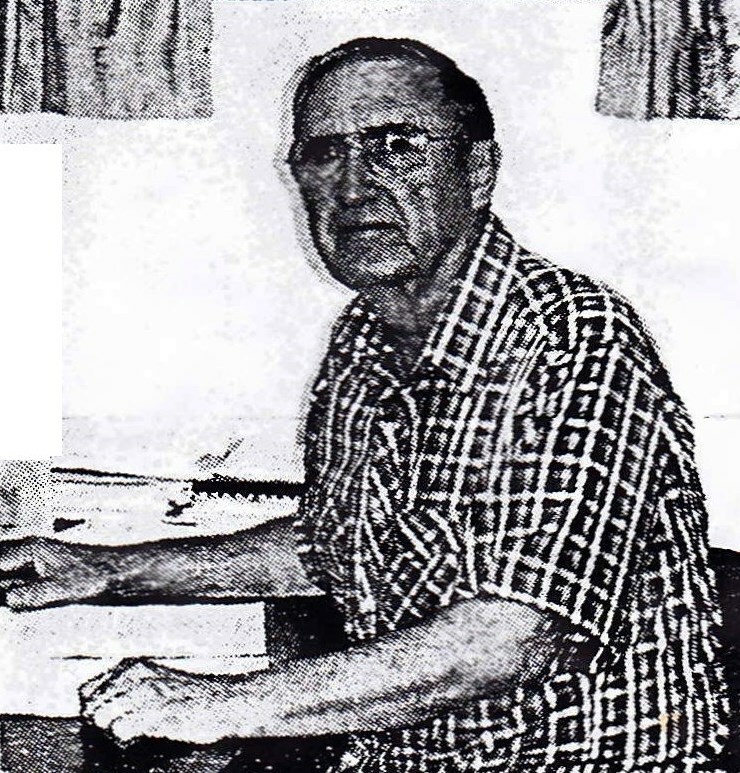 The Mera Phillip story was further confirmed in 1993 by statements from John Tobeke, a Marshallese working on Roi. Tobeke stated that when he was about 6 years old and living on Roi, he saw a white woman twice over a period of three months. In addition to the testimony he gave to Neal Proctor, an instructor from the University of Maryland who was visiting Kwajalein, Tobeke was shown pictures of three different white women. He successfully identified the picture of Amelia as the woman he had seen while a child on Roi in 1937. Neither Mera Phillip nor John Tobeke had ever been mentioned in Earhart literature before they appeared in the pages of The Kwajalein Hourglass, where Jane Toma first reported the following accounts of Tobeke and Philip in 1993. Speculation about their disap­pearance has been the subject of countless articles, books and documentaries. Some suggest that Earhart’s reputation as an exceptional pilot was due more to the efforts of her publicist husband George P. Putnam than her prowess as a pilot. She simply ran out of fuel, they say, and crashed into the ocean. Others implicate her as a spy in the Japanese mandated islands. They argue that she and Noonan were captured and executed. Some theories, which have gained national atten­tion recently, place the duo in the Marshall Islands and suggest the following sce­nario: The twin-engine Lockheed Electra Earhart was flying, went down off Mili, where she and Noonan were captured. The two were sent to Jaluit, Kwajalein and eventually to Saipan. where they were held prisoner and finally executed. Stories about Earhart being in the Marshalls are not new to old timers on Roi, who have heard about an American man and woman, believed to be Noonan and Earhart, who were there before the war. 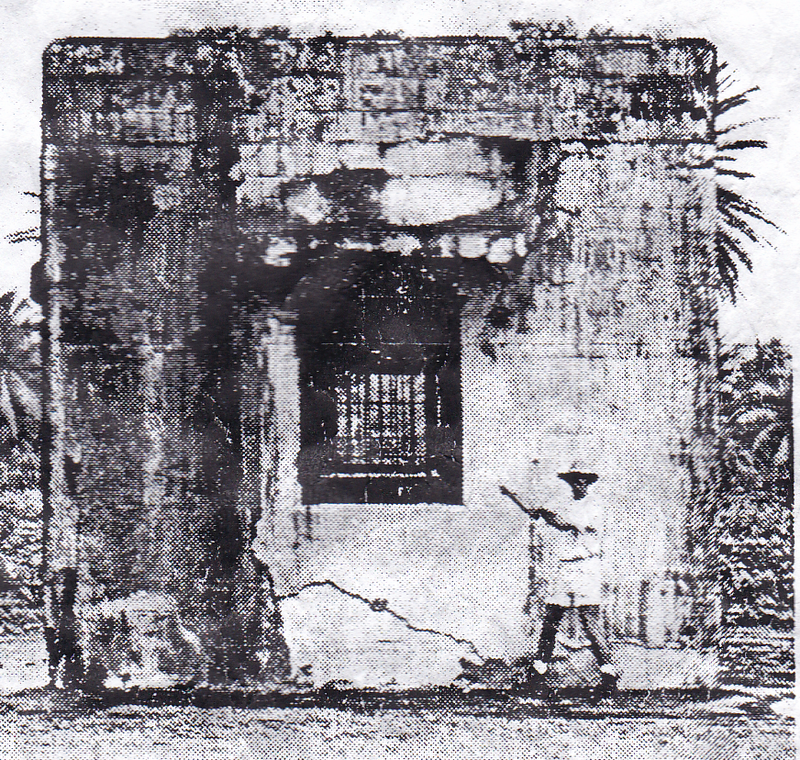 Kwajalein resident and World War II history buff Tom Rogers points to the structure some believe was Amelia Earhart’s prison on Roi, held prisoner and finally executed. Some suggest that Earhart died from dysentery on Saipan. 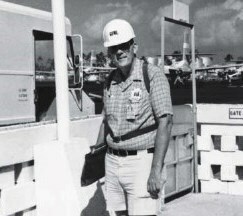 John Tobeke, a Johnson Controls World Services employee, recalls seeing an American woman twice when he was a child living on Roi. It was about 1937, he says. and he was about 6 years old. Tobeke says that a woman from Jaluit named Mera Phillip cooked and interpreted for the American lady. Phillip had attended missionary school on Kusaie (now called Kosrae) and knew English. She told some of the Marshallese people that the lady said she was captured by the Japanese and was on Mill and Jaluit before she came to Roi. The Japanese wanted to know why she came and she told them she lost fuel. The lady told Mera that she was with a man. but they had been separated. The American woman also confided to Mera that she thought she would be going to Saipan. Tobeke adds that the woman lived on Roi for about three months, but the Japanese never talked about her. They were very secretive and suspi­cious of the Marshallese people, he explains. John Tobeke indicates Amelia Earhart as the person he saw in 1937 on Roi to University of Maryland instructor Neal Proctor. University of Maryland instructor Neal Proctor visited Mili last summer to pursue some of the stories he had read about Earhart being there. He heard several accounts about her from Marshallese residents on Mill. Proctor also talked to Tobeke on Roi­ Namur and finds his recollections credible. “John described her as a tall woman with short blonde hair, like mine, dressed in a Japanese uni­ form. He also picked her out of a photograph of three women.” Procter explains. Johnson Controls World Service technical writer Bill Johnson says Amelia’s auntie wouldn’t talk about her. Kwajalein resident Margaret Smith heard stories about the famed aviatrix both on Saipan and in the Marshalls, where she worked and attended school. 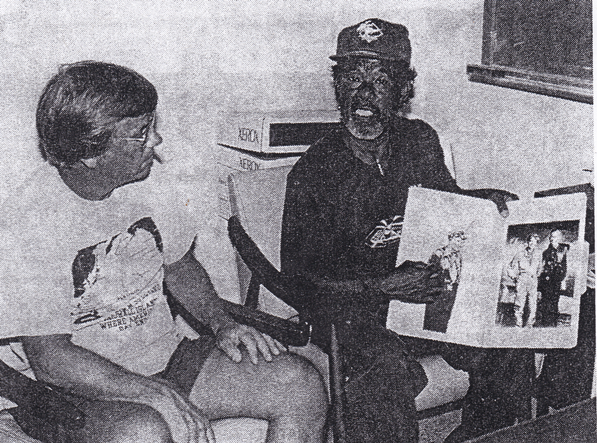 In 1979, Smith was surprised to hear about Earhart on Jaluit. “I was teaching social studies on Jaluit and talked to Lee Komiej, a Marshallese policeman during the Japanese administration,“ Smith says. “I wanted to know more about the different administrations (German, Japanese and American) and when the war started. Kwajalein resident Margaret Smith recalled stories about Amelia Earhart on Saipan and in the Marshalls. John Tobeke’s statement to Neal Proctor that Mera Phillip told him that the “woman [Amelia Earhart] lived on Roi for about three months” could not have been true, based on the vast witness testimony that has Earhart and Fred Noonan arriving on Saipan during the summer of 1937. Tobeke was a child at the time Mera shared her very personal information with him, and he could easily have confused three months with three weeks, or even less. Recall that Josephine Blanco Akiyama reported seeing the American lady flier, Amelia Earhart, at Tanapag Harbor on Saipan sometime in the summer of 1937. She was never more specific than that regarding the date of her initial sighting. Tobeke’s story is another that links to former Marine W.B. Jackson’s account as told to Fred Goerner about three Marines who discovered a suitcase with women’s clothing and an engraved diary in a room they described as “fitted up for a woman” on Roi-Namur in February 1944. Was this the same room where Mera Phillip served the captured American flier her non-Japanese meals? The foregoing has become an increasingly rare phenomenon in recent years — real journalism in the Earhart case, without the lies and political agendas meant only to confuse and misdirect — and found, most surprisingly, in a U.S. government affiliated newspaper. Obviously nobody at the Kwajalein Hourglass thought it was necessary to get these stories approved by their superiors in Washington before they published them in the small newsletter that serves the local U.S. Army community on Kwajalein. If media organizations such as the former History Channel, now known simply as History, Fox News, CNN, the Associated Press and the rest of the lying establishment shills were serious about informing the world about the facts in the Earhart disappearance, instead of pushing fake news about phony photos and ridiculous myths about giant crabs eating the lost fliers, we might have more stories like the gems Jane Toma and Eugene Sims gifted to us. Unfortunately, articles that reveal previously unknown eyewitnesses in the Marshall Islands are extremely rare, so don’t expect to see more like this anytime soon.